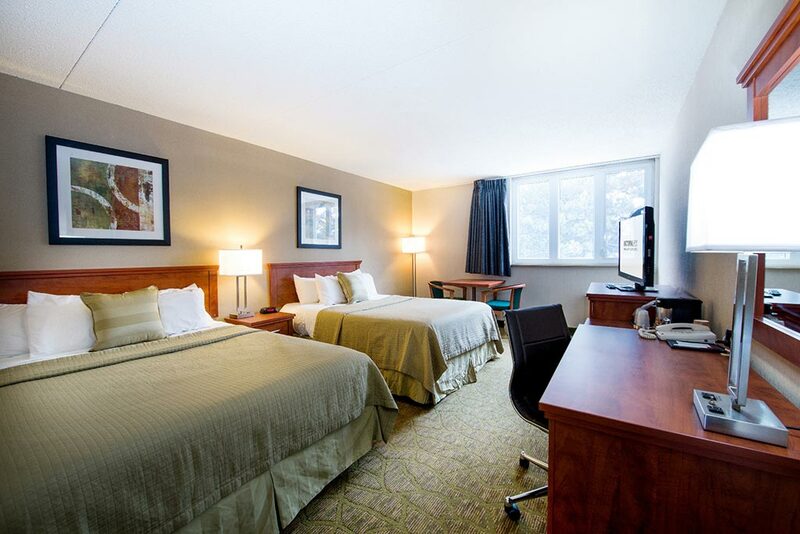 The Victoria Inn Hotel and Convention Centre offers a variety of promotions and Thunder Bay hotel deals. Our limited time packages make it easy for busy guests to plan intimate getaways or make fun family memories. Check this page regularly for Thunder Bay Hotel Deals and frequently changed limited time promotions. Better yet, join our e-club and we’ll send you our Thunder Bay hotel deals and promotions on a regular basis. 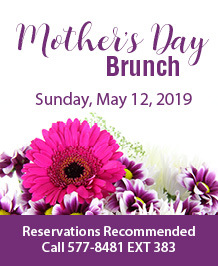 Join us for Mother’s Day brunch and celebrate Mom! May 12, 2019 from 10am – 2pm. Reconnect with your loved one and indulge in the warmth of knowing this package shows you care. The newly renovated spa suites feature a king size pillow top bed, comfortable seating, a 55″ flat screen television, a fireplace and an amazing shower room. Large enough for two people, the shower features white marble, dual overhead rain showers, a large soaker tub, heated floors and television/mirror for relaxation and pampering. 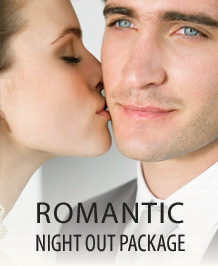 The Romantic Night Out Package includes a bottle of sparkling wine and some fine Lindt chocolates for you to enjoy while you are here. A seasonal flower arrangement will enhance the atmosphere of the room. Also included is a complimentary breakfast for two and a complimentary 1pm late check out. This package is the perfect addition to any weekend. Contact us to book your getaway today. You don’t have to be taking in an Ontario event to wake up and enjoy a free hot breakfast in the comfort of our Chicago Joe’s Restaurant. Our hot breakfast special is available to all guests who stay in one of our qualifying rate rooms. During time away from home, let us cook for you! Enjoy bacon and eggs, omelets, waffles or pancakes – the choice is yours. 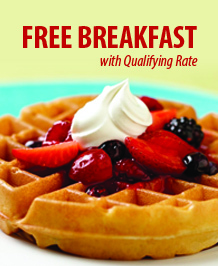 With every qualifying rate room, receive up to two free breakfast vouchers. Enjoy a hot breakfast from 7:00 am until 10:00 am.